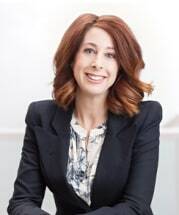 In the greater Detroit metro area, Farmington Hills and throughout Michigan, the lawyer you can trust with your family law issues is Lisa D. Stern in Farmington Hills. Lisa D. Stern was voted best Divorce Attorney 2010 by readers of Hour Detroit Magazine. Since 1995, the law offices of Lisa D. Stern, P.C. has placed special focus on your unique child custody and child visitation legal difficulties. Whether problems arise before, during or after your divorce, our skilled attorney works hard to protect your rights and to seek practical, lasting solutions. Lisa D. Stern aggressively advocates for your goals while remaining sensitive to your emotions at these difficult times. Her pursuit of excellence in representation and compassion for your personal situation shines through in every area of her practice.